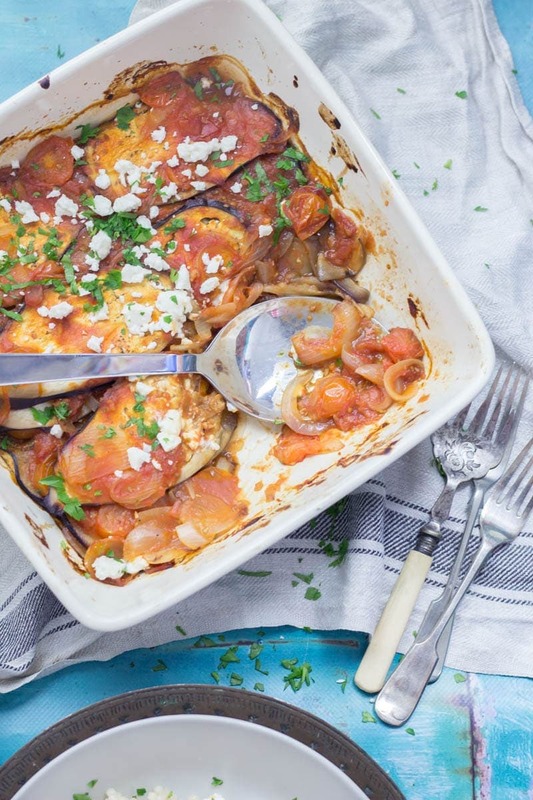 How do you feel about aubergine? I love it and count it among my favourite vegetables especially when it’s baked like this. 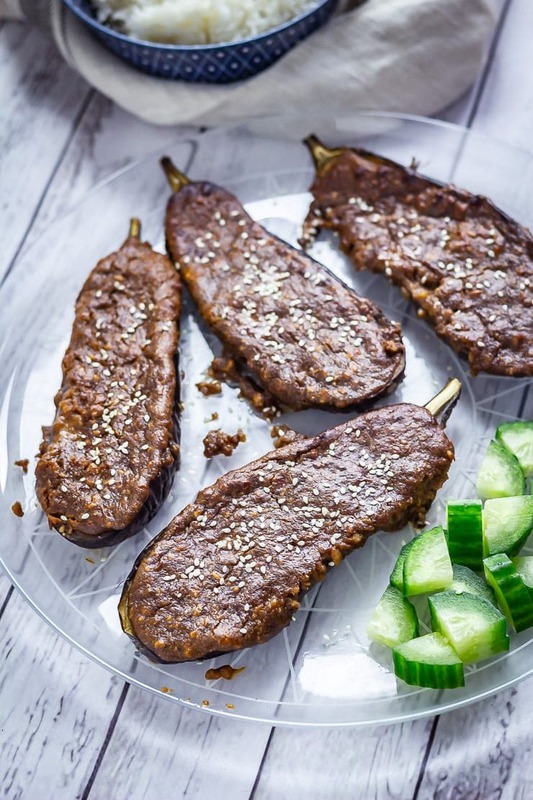 If you’re looking for other aubergine recipes then try out this smoky aubergine salad with red pepper or this curry with potato and aubergine…but make sure you check out this roasted aubergine with satay sauce first! 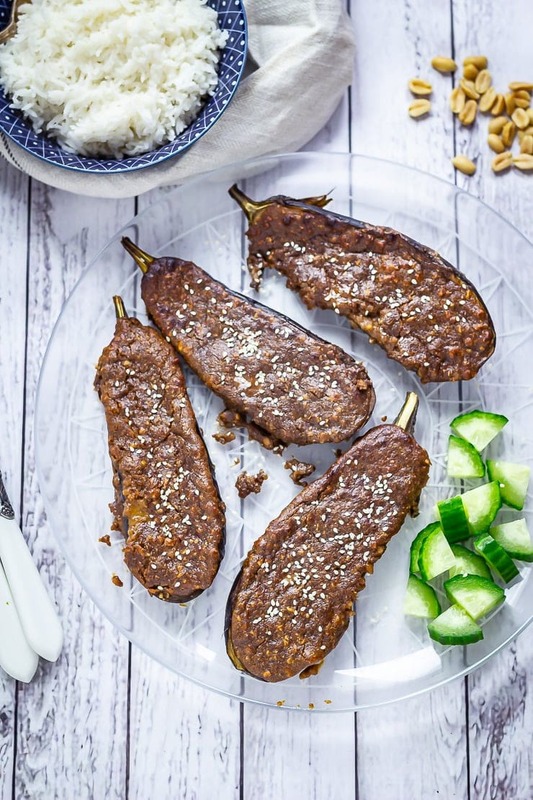 Click here to pin this roasted aubergine with satay sauce for later! This is one of those accidentally vegan meals which is comforting and filling but still healthy and full of good stuff. Which is really all I’m looking for in a weeknight dinner. I’ve been trying to eat slightly more healthily over the past few weeks. In my day job the office is continually stocked with cake and biscuits and I was also developing a pretty severe two packets of crisps a day habit so I’ve gone cold turkey on it all. And I’m eating healthy dinners like this. 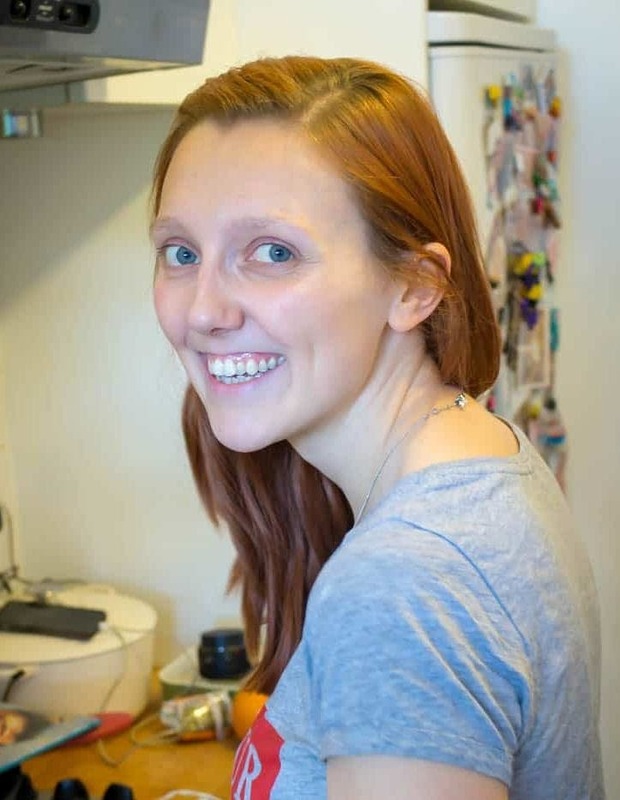 The issue I’m having with this new healthy version of myself (which believe me, will probably only last another week of so) is that I get so hungry all day. I need some healthy snack ideas because right now I’m resorting to rice cakes and nobody wants that. On the plus side there are deeeelicious healthy dinners like this one to make my eating life that bit more enjoyable. This satay sauce deserves to be smeared on everything. It’s salty and nutty and full of rich umami flavour. You could whip up a big batch of it and use the leftovers after making this roasted aubergine to dip vegetables into or pour over chicken or, well, whatever you want! I especially love the addition of coconut milk in there. It makes it so creamy and smooth, perfect for an all purpose sauce to have on hand. My favourite thing about this recipe is that it’s SO easy. All you need is a blender (like this one) and you simply blitz together all the ingredients until smooth. Heat the oven to 200°C/400°F. Slice the aubergines lengthways through the stem. Score the flesh of the aubergine in a criss cross pattern making sure not to cut all the way through. Drizzle with a little olive oil and sprinkle with salt. Place in the oven on a baking tray and cook for 30-40 minutes until the flesh is softened all the way through. 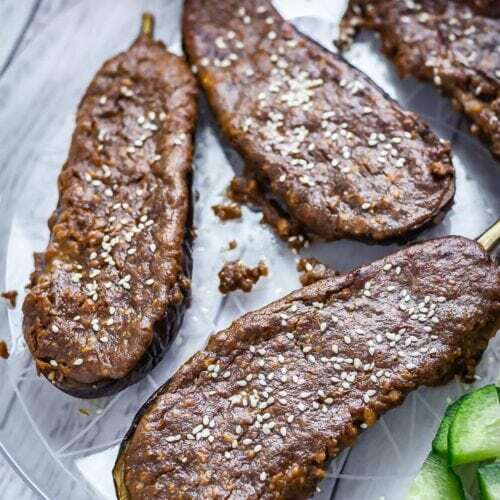 Once your aubergine halves are roasted simply give them a good smear of satay sauce and pop them back in the oven to brown for 10 minutes. 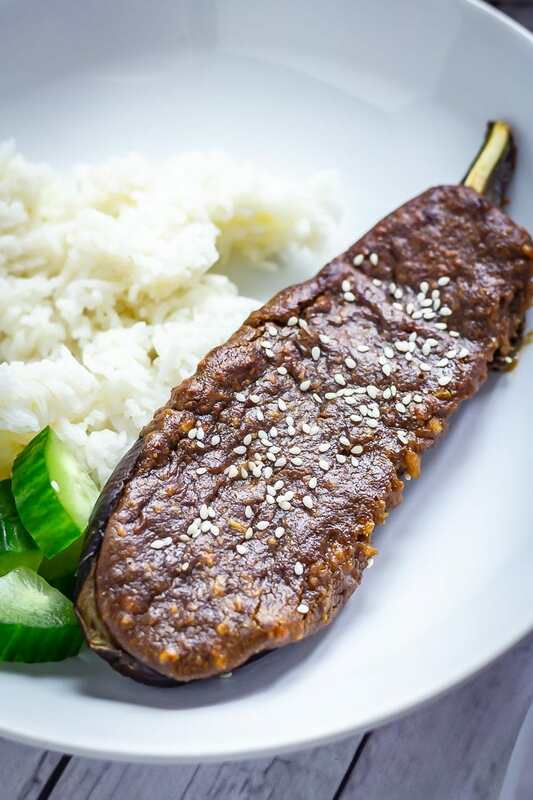 I really like serving these roasted aubergines with some sticky rice. We’ve used this sticky rice before and I recommend it if you can’t find any in your local shops. Or you could use basmati of course! 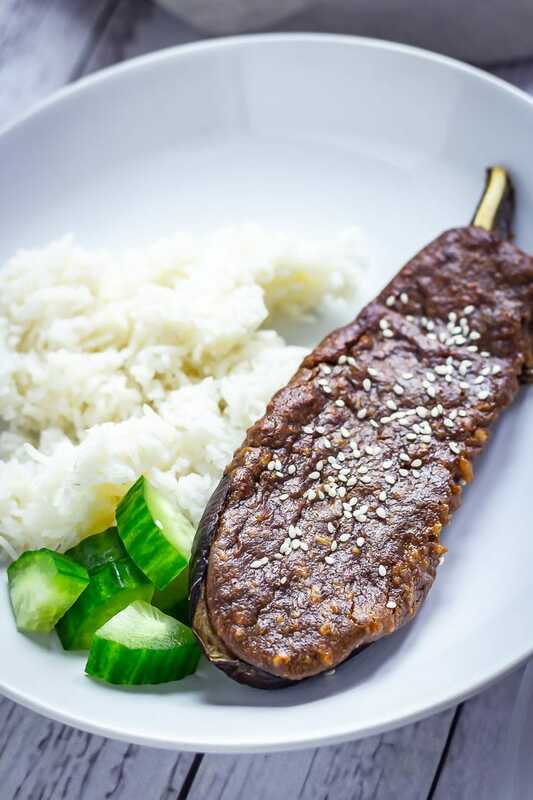 We also had some cucumber slice because there’s something so delicious about having cool refreshing cucumber with salty, rich flavours like the ones in this roasted aubergine recipe. 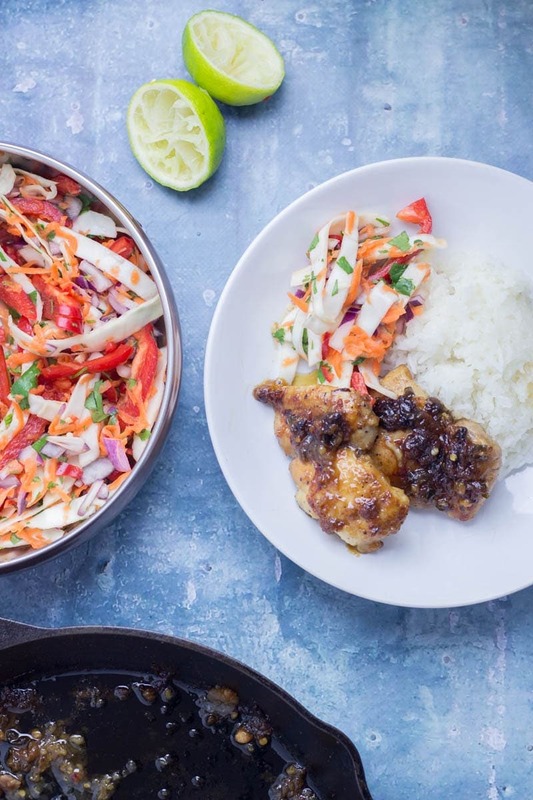 If you’re looking to fancy up your cucumber you could try making the side dish in this grilled peanut chicken recipe. I’ve got plenty more vegetarian recipes on the blog! 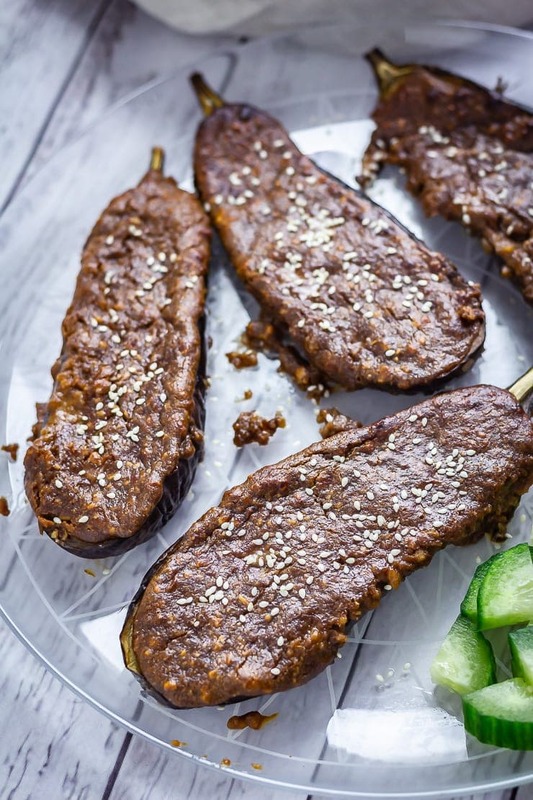 WONDERING WHAT TO DO WITH THE LEFTOVER INGREDIENTS ONCE YOU’VE MADE THIS ROASTED AUBERGINE WITH SATAY SAUCE? Heat the oven to 200°C/400°F. 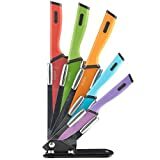 Slice the aubergines in half lengthways and cut the flesh in a criss-cross pattern being careful not to cut all the way through. Drizzle with olive oil, sprinkle with salt and put on a baking tray and into the oven for 25 minutes. While the aubergine are cooking make the satay sauce by blending together the peanuts through coconut milk until smooth. 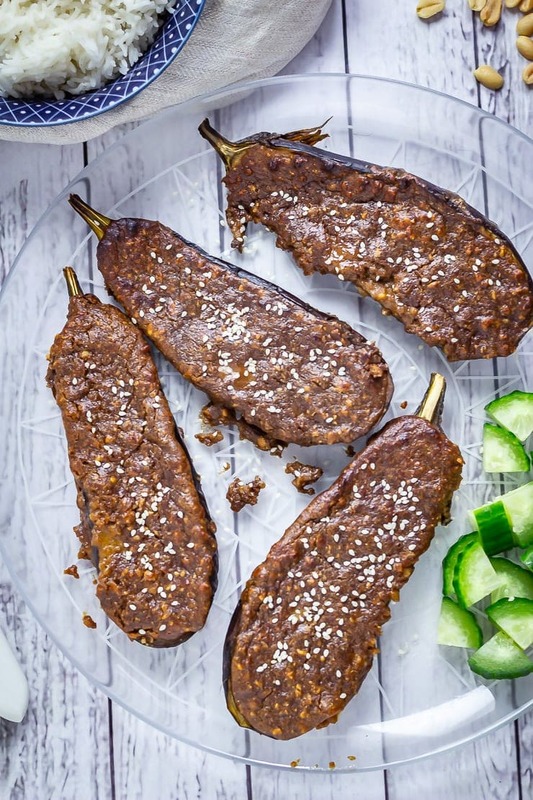 Remove the aubergine from the oven and spread the satay sauce over the top of each half. Return the aubergines to the oven for 10 minutes until browned. 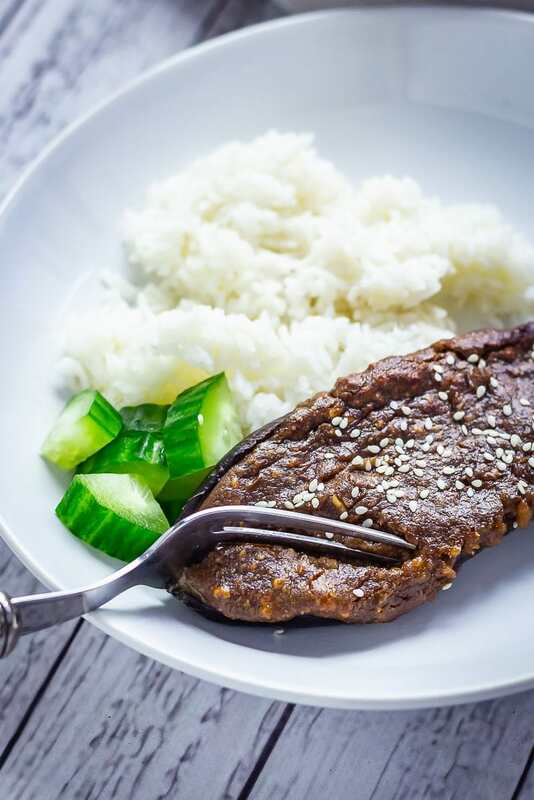 Serve with sticky rice and cucumber slices. I absolutely LOVE roasted aubergine! 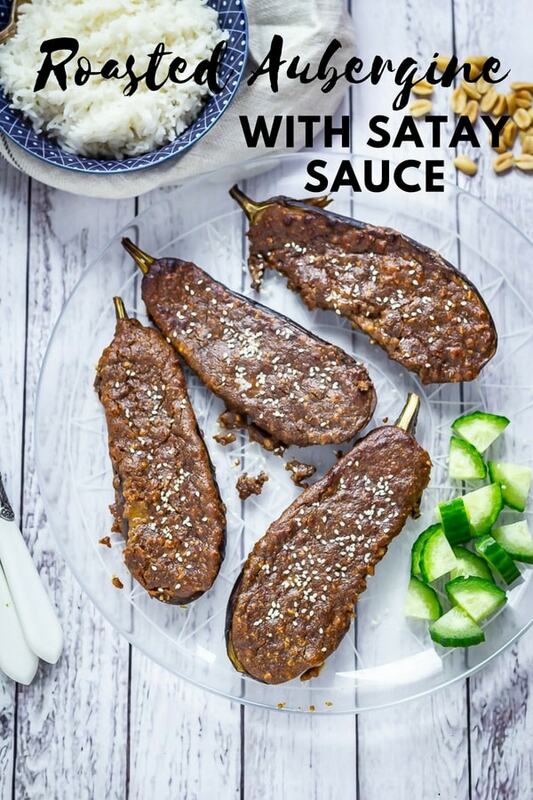 I’ve never thought of pairing it with a satay sauce before but after reading this I definitely have to try it!! I’ve never heard of this dish but I would so totally try it! This one is quite different, blending flavors of the far east with the near east. Would love to try. Roasted aubergines..my hubby’s favorite. I am pinning this for sure to make it for him.